The Boer War was the name given to the South African Wars of 1880 to 1801 and 1899 to 1902. These wars were were fought between the British and the descendants of the Dutch settlers, the Boers, in Africa. Divided the country along French-English lines. Britain aims were to expand control in South Africa north of the Cape Colony. They were resisted by Boers. The wars were actually more to do with the resouces such as gold and diamonds, then the land itself. English Canadians supported sending troops, while the French-Canadians as they didn't wish to support Britian. 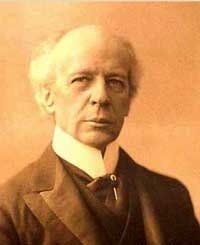 Laurier compromised and sent Canadian volunteers who fought in the British army. Henri Bourassa was the biggest critic of this saying Canada should act separately from Britain. Wars between the Britian and the Dutch settlers in South Africa had a significant impact on all those in Canada, beginning yet another dispute involving the french and english citizens of Canada as they choose whether to stay in Support of Britian.